You've heard of the Dog Whisperer? Part forensic scientist, part master sleuth, Megan Smolenyak2 has solved some of America's oldest and most fascinating genealogical mysteries. You've read the headlines, now get the inside story as the "Indiana Jones of genealogy" reveals how she cracked her news-making cases, became the face of this increasingly popular field—and redefined history along the way. How did Smolenyak2 discover Barack Obama's Irish ancestry and his relation to Brad Pitt? Or the journey of Michelle Obama's family from slavery to the White House? Or the startling links between outspoken politicians Al Sharpton and Strom Thurmond? And why is Smolenyak2's name squared? Test your own skills as she reveals her exciting secrets. fascinating, complicated past in this tour de force of detective work." You're practically family. You certainly know more about us than we do." "This splendid book makes genealogy come alive in the most vivid and compelling manner." "Megan is a genealogist's dream, a forensic investigator who can also tell a great story." "Megan is a blessing to cold-case detectives and a master genealogist." "Megan . 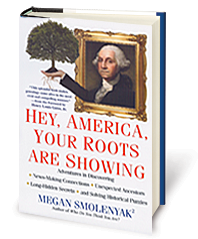 . . is, hands down, America's greatest genealogist, and this book is proof of it." "The Indiana Jones of genealogy...Megan Smolenyak is a national treasure." 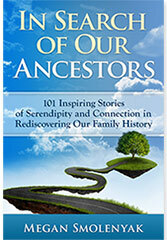 your family tree and solving stubborn historical mysteries." "In this breezy narrative, Smolenyak allows us to look over the shoulder of a relentless genealogist as she works the puzzle pieces of her craft. Whether unearthing evidence from Internet databases, newspaper offices, court houses, libraries and cemeteries, consulting translators, historians or her vast network of fellow genealogists, pioneering the use of genealogical DNA testing, solving the mystery or occasionally hitting a brick wall, Smolenyak remains wholly committed, curious and cheery, eager to share her methods and excitement." — Kirkus Reviews, "Bottom-up history from a top-shelf researcher"
"I've been reading and editing genealogy books and articles as a profession for 30 years. This is without a doubt the best genealogy book I've ever read...Megan can find the living as well as the dead — and she has the skills to do it quickly." 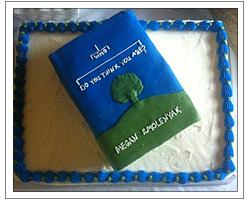 Check Megan's Calendar for her upcoming book signing events! There is no such thing as an ordinary family. Each one has its own stories: the black sheep, the Civil War hero, the ancestors who fled to the United States, or the lost family fortune. No matter how plain you think your background is, chances are there is a saga just waiting to be discovered. The ground-breaking NBC series Who Do You Think You Are? takes seven of America's best-loved celebrities-from Lisa Kudrow to Susan Sarandon-on an emotional journey to trace their family history and discover who they really are. The revelations are sometimes shocking, sometimes heartbreaking, and always fascinating. It has never been easier to bring your family history to life. You will be amazed at how much there is to discover! A gift at one of my book signings! With over 100 true stories of the amazing luck, unexpected kindness, and unusual serendipity encountered by researchers as they explore their roots, In Search of Our Ancestors offers an inspirational look at the rewards of family history. No story is longer than a few pages, but most are such touchingly personal tales that you may find yourself reading just one or two at a time. The photo of a great-great-great grandmother's "free pass" (that proved she was not a slave) and its accompanying story of being made into a medal and touring the country is a definite tearjerker, as are the multiple stories of lives being saved through families passing on information about genetically inherited diseases. To lighten the mood a bit, laugh along with the researcher who discovered his wife was also his fifth cousin, or with the fellow who managed to ruin his family's tales of famous ancestors, uncovering a war deserter instead. A few stories have relevant research information at the end, but the book isn't aimed at your practical side. More than anything, this collection is designed to simply share the warmth and surprises that genealogical research can bring if you stick with the hunt, keep your sense of humor, and listen to your heart. Reviews of "In Search of Our Ancestors"
"Megan is a gifted roots detective who uncovers the past through meticulous research, but reading her stories of serendipitous encounters in this book one would believe that she is able to commune with the dead, and is guided by ancestral spirits who want to be found and their stories known." "Megan Smolenyak is a master storyteller who brings personal history to life." 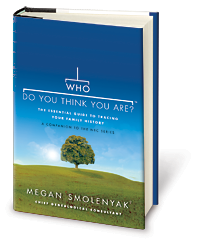 "Megan Smolenyak … is the guru … – the beginning, the middle, and the end of genealogy. And like all good gurus, she inspires the rest of us to find our own roots, to keep digging until we know our own story. This book is an important book for anyone who has ever had a mother, a grandmother or a great-grandmother. Make it part of your library now." "The stories in In Search of Our Ancestors are touching and personal. Each one reveals the three S’s that are at the heart of researching our family roots: surprise, serendipity, and secrets. This book is less of a how-to (although there’s plenty here to help you get started) than it is an inspirational call. Let’s do this! Let the surprises, moments of serendipity, and secrets begin!" "Gems of genealogical tidbits wrapped in one hundred and one surprising and fun stories. I was inspired by, and will never forget, the researchers who thought to ask to actually see the burnt records, the daughter’s pursuit of information about her father who died in the war three months after she was born, using the Internet to find a sister not seen for six decades — or any of the 98 other inspiring, sad, sometimes-scary, humorous or (mostly) very happy stories. Even my friends who are not interested in genealogy wound up reading this book!" "The millions of genealogists who are researching their family trees will find this book both inspiring and encouraging as the make the discovery of family members they never knew or were sure that information about them was lost throughout the centuries. It shows what others have achieved by both hard work, synchronicity and almost "supernatural guidance." I believe everyone will find ecouragement here in their research for their roots! A must buy!" "I have purchased five copies of this book and given them to friends who are interested in genealogy. Each of them has loved it in return and passed it on to friends and relatives. Easy to read, poignant stories, that give me goose bumps each time I read them." If you're like many of us, you have a bit of a fascination with DNA, but did you know you could use it to explore your family's past? 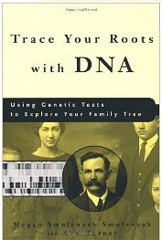 Trace Your Roots with DNA is an easy-to-follow, yet comprehensive guide to using DNA tests for genealogical purposes. Packed with real world examples, it will show you how to solve your own history mysteries. 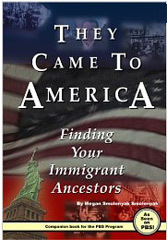 Companion to the PBS They Came to America special, this book will be a frequently consulted addition to your library - whether you're looking for a step-by-step primer on finding that elusive immigrant ancestor or are seeking a collection of immigration-related resources (sorted by record type, time frame, ethnicity, and ports of emigration and immigration). Light and spiral-bound for convenience, this book includes a process and worksheets designed to focus your research to help you "cross the pond" as quickly as possible. In Honoring Our Ancestors you'll find stories of people who have built a Viking ship and sailed across the Atlantic, devoted decades to collecting slavery memorabilia, passed a diaper down through four generations, conducted ancestral scavenger hunts, and painted an 80 by 30 foot mural! 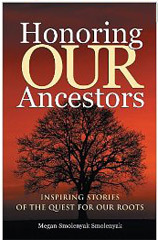 The heartwarming tales found in the pages of Honoring Our Ancestors are just what the family historian has always needed and the spark that will inspire you in your own quest for roots, if you have yet to join the 78 million roots-seekers in America alone.